Islandistas were all over the place for the recently-ended Paris Fashion Week. From Guyana in the south to Bahamas in the north, from models to musicians, the region was well represented in the front rows at the shows. Check out the pix! 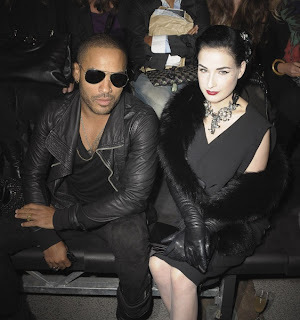 Bahamas' own hometown boy (via mother Roxie Roker) Lenny Kravitz was front row at Lanvin with Dita von Teese. Bajan songbird Rihanna (above) was at the Miu Miu show, as was Lucian it-girl and Pop editor Shala Monroque (below). British singer Leona Lewis, whose father is Guyanese, was dazzling in a peach ruffled confection on the red carpet of the Roberto Cavalli show. Our favourit-est, baddest, most yaadcore supermodel Naomi Campbell celebrated her 25 years in the industry with Dolce and Gabbana. Go deh Naomi! 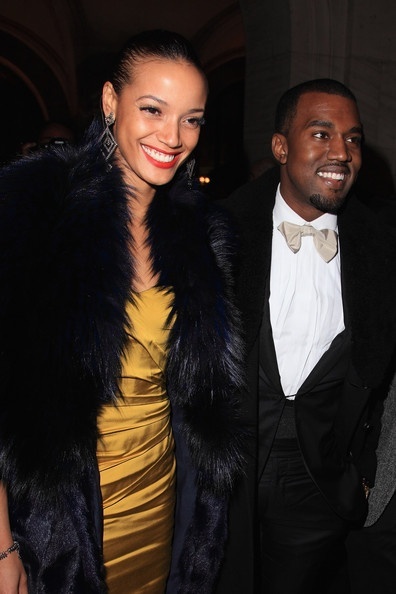 And Caymanian Selita Ebanks showed up looking all smiley with Kanye West again - this time at the Grazia Masquerade Ball.